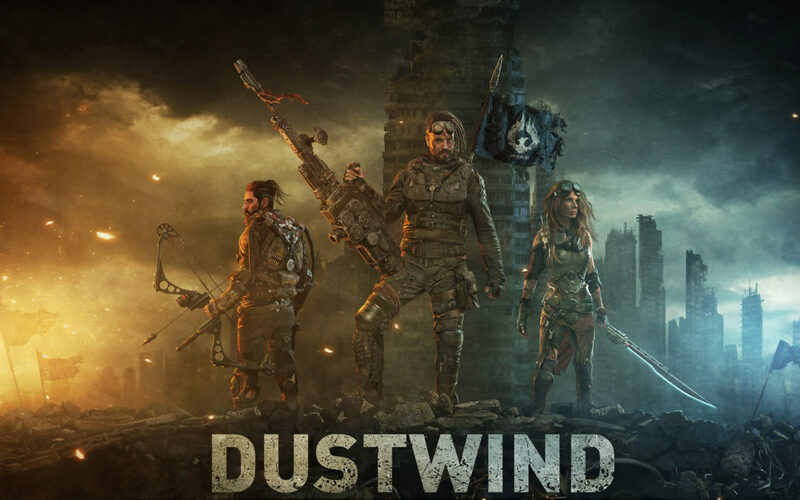 Dustwind Launches out of Early Access with Massive Update that Includes New Gamemode Territory Killswitch, Ability to Play Solo Missions – Take on the world!, Improved Custom Maps Editor and more! Fight in a Post-Apocalyptic World of Embers! Players will enjoy customizing their characters as a Human, Valkyrie, Robot and even a Dog. Easily customize your characters with exciting combinations of skills and gear to dominate the battlefield! Sneak, aim for body parts, use a varied set of weapons and ammo, trick and flank your enemies, set or disarm traps, drive and repair vehicles. Take some caution to avoid blowing up all of your teammates! Seriously, don´t take that bazooka into close quarters combat. You can play various MP game modes with or against your friends, or play Solo missions against the environment. Which will eat you alive if you aren´t careful and coordinate. This is where it gets REALLY tactical. But don´t worry, you can always come back with another character build & strategy (or more plungers) and eventually, you will prevail against the 100 or so computer-controlled Raiders. Create and tweak your custom characters. Make your own maps and rulesets with ease. Added progression: Some items will unlock as you level up. Dustwind Studios was founded by Dimitri Zaitsev and Zsolt Kovács. Both have a strong and long-time passion for Realtime Tactics games and the post-apo scene. Dustwind is the first big project of the team. Dimitri Zaitsev is no stranger to the post-apo scene: he creates art, props, costumes, pictures, and videos under the brand of “Nuclear Snail Studios”. In addition to that, he took part in the organization, game design and visual design of post-apo LARPs “Resistopia” and “Zombie Apocalypse”.